Yeah… easier said than done right? 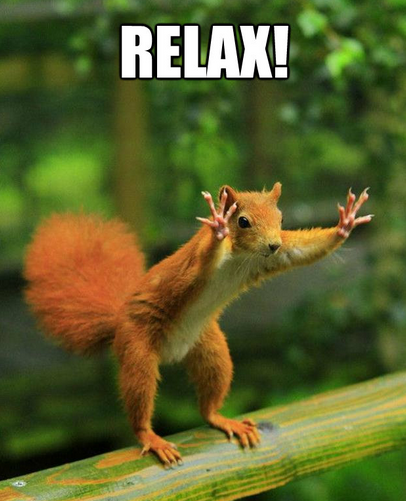 It’s easy to relax when everything is going your way. It’s easy to relax when you don’t have to think about finances. It’s easy to relax when you’ve got a great job. It’s easy to relax when you’re healthy. It’s easy to relax when everything with your family is just peachy. But what about when that’s not the case? How in the heck are we supposed to R E L A X when it seems like we just can’t catch a break? How in the heck are we supposed to R E L A X when we’re just busy trying to stay above water? UGHHHHHH LIFE IS HARD SOMETIMES. Welcome to my least warm and fuzzy post yet. haha – no but let’s GET REAL for a minute. I’ve lived and worked in LA for a little over two years now. There have been super high highs… and super low lows. It’s a part of the industry that you just can’t escape. It’s what I signed up for when my hubby and I decided to take a leap of faith and move across the country because we knew it was what God was calling us to do. We knew it wouldn’t be easy, we knew it’d be a constant hustle… and let me tell you – that couldn’t be truer. I’m typically a super positive person. The glass is always half full, I chose to see the best in people… in situations… it’s how I live my life. 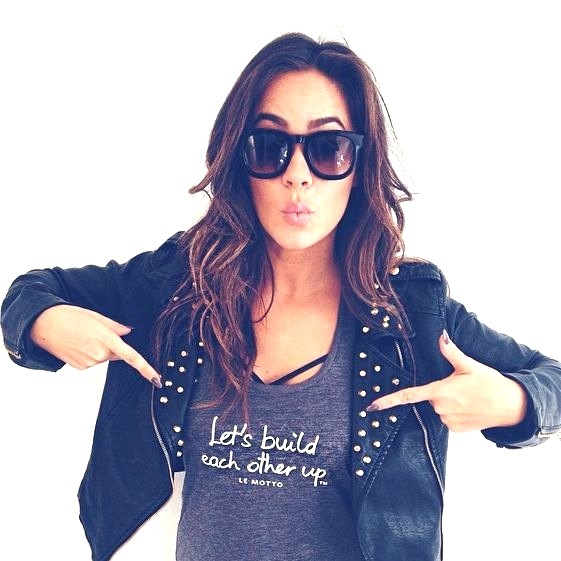 –And when everything is going great it’s easy to be that way. It’s easy for me to encourage others when I feel encouraged. But if there’s one thing God has been teaching me over the past year, it’s how to live that way REGARDLESS of circumstance. To be honest, in the last few months there have been MANY circumstances that have not gone my way. In fact they’ve gone the opposite of “my way.” I’ve been left confused, stressed out, uncertain, and frustrated. I’d love to say that I’ve moved past that place… that I’m writing this blog from a proverbial “mountain top,” but I’m not. I’m writing from the valley. Yep. Still here. What’s different about me now than me a few months ago? It’s my perspective. I’m choosing to embrace where I'm at. I’m fully aware of the valley I find myself in… I’ve also never been more fully aware that God is in control. My weakness is present so that I can learn to more completely rely on Him. So that that when those mountaintop moments happen, I know it’s because of God’s hand on my life, God’s favor, God’s purpose… not my own. My joy is NOT a direct result of my circumstance…. My joy come’s from the Lord. No matter what my current view is like – I am able to CHOOSE JOY. And when I do, it’s crazy how God’s peace just overwhelms me in that moment. It happened just this morning! Seriously, God is so good! Okay… I should be wrapping this thing up right about now. I share all of this with you to hopefully offer you some encouragement. I am still confident of this: I will see the goodness of the Lord. Wait for the Him; be strong and take heart. The eternal God is our refuge. You guys! 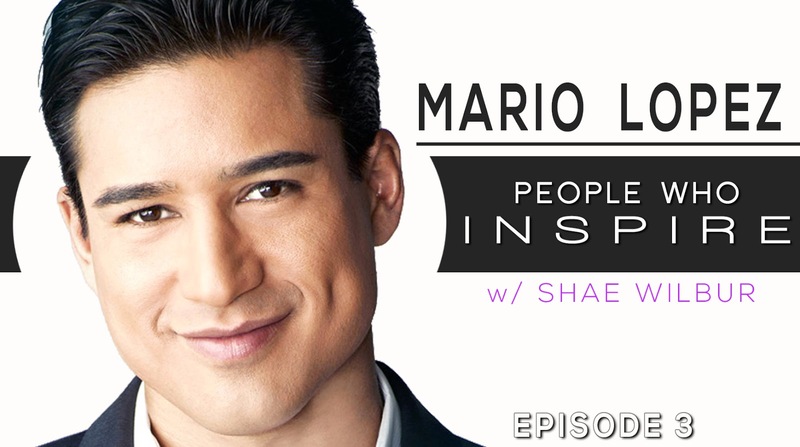 I am so excited to have Mario Lopez with me for an all new episode of People Who Inspire. If you're like me, then you grew up watching him on Saved By the Bell, so I must admit... sitting on set at EXTRA interviewing him was a bit surreal (in the best way possible! ).